Many of you might not have heard of it, but in the USA, we celebrate Gold Star Mother’s Day. Observed annually during the last Sunday of September, this special occasion recognizes and commemorates moms who have lost a son or daughter to combat. Mothers of our fallen heroes deserve to be honored in a special way. After all, they were the ones who brought life to such brave individuals. Hearing the news that your child was killed from battle is the last thing you may want to hear. Imagine how you would feel if you were in the place of these women. Would you still think of life as having a happy ending? Thankfully, a joint congressional resolution came to an agreement that these women, who would be known as Gold Star Mothers, should have a day dedicated to honor them. Thus, it was declared that the last Sunday of September is to be celebrated every year as homage to Gold Star Mothers. During this yearly event, everyone in the country would gather to honor and pay their respects to Gold Star Mothers and their families. This is usually done by displaying our nation’s service flag at home and even on government buildings. So what’s the significance of the Gold Star? The Gold Star actually represents a deceased family member who was killed on duty, while serving the United States Armed Forces. The symbol can be found on a service flag, or it can be worn by Gold Star Mothers as a pin, reminding them that their children died as heroes. One becomes a Gold Star Mother immediately after her military son or daughter dies from battle. Probably no mother may want to earn the title, but it can be something to be proud of once they are completely healed from the loss. The Gold Star had its roots way back during the Second World War. Families of the US military personnel would put a service flag near their windows. Stars on the flag would symbolize family members who were serving the army, with the color blue signifying the living ones. 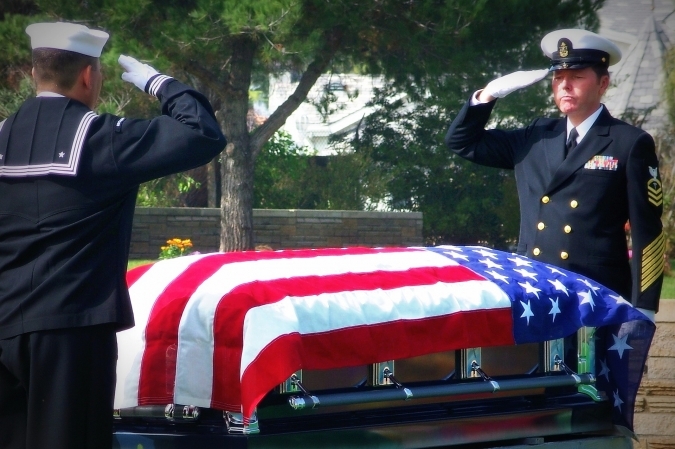 The blue star would be replaced with gold when the member is killed in the line of duty. 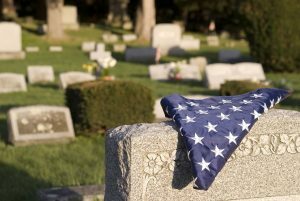 In 1929, a group of 25 Gold Star Mothers from Washington DC successfully obtained a federal charter from the Congress, which led to the establishment of American Gold Star Mothers, Inc.
Grieving mothers need every support they can get, may it be from their loved ones or even from strangers. This is why most of the Gold Star Mothers join the organization. These moms share the same painful feeling of losing a child, and going through their journeys together is probably the healing they need. The organization also helps in providing better lives for active military members, veterans and their families. As part of their program, Gold Star Mothers would visit former troops and give them presents in the form of food and clothes. Despite being faced with tragedy, these women chose to remain strong and even decided to pay it forward. Truly, they are such inspirational individuals who are more than worthy of being honored on Gold Star Mother’s Day. If Gold Star Mothers can give back to our veterans, you have no reason not to. Just donate an old car and see a huge change in the life of a former troop. One of the easiest and most convenient ways to help our military men and women is by making a car donation to us. Your vehicle will be used to fund for support services to our troops, including housing assistance, tutoring, and vocational training. All you need to do is contact us, and we will handle the rest. We’ll even take care of the towing. Plus, by donating to us, you will receive a huge tax deduction. With your old car or truck, you can make a huge difference in the lives of our heroes and their families. Sounds promising? Donate to us today and change a life. Contact us at 877-594-5822.